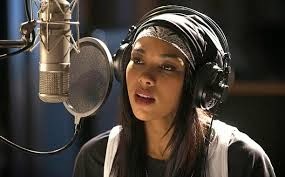 So this Saturday Lifetime aired the Aaliah Biopic, the actress Alexandra Shipp played the singer in the movie. The movie was produced by Wendy Williams production company and had some controversy earlier on with the family of the deceased singer not releasing any information along with being against the release of the film. Well Wendy should have listened to the family and stopped production, because the film was trash and disgrace to the legacy of Aaliyah. For one this is not just some singer that died, Aaliyah was like a sister to us all her life and death affected so many people that to do her movie required a certain type of delicate planning and casting. To me it appeared that they did not take the time to cast the movie correctly and the story line was so blah that it made me cringe every moment. Aaliyah story is so heart felt and I lacked to find a moment in the movie where it touched me because of the bad acting and the awful casting. I honestly feel this movie should be ripped from rebroadcast and put in a vault never to be aired again because it does no justice to our princess of R&B. Apparently a lot of people felt the same way, the internet has been buzzing with a criticism since the biopic aired. 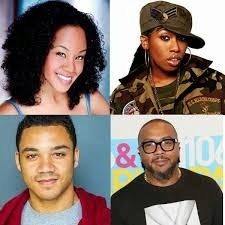 These are a few of the cast members along with the actual people, what were they thinking, then the acting was horrible. This movie was just plain disrespectful. The documentary that came after the movie aired was way better than the movie. Leave a comment let me know what you all think about the Lifetime Biopic of Aaliyah.